" 10 Sq. R. A. F. | 1 " 10 Sq. R. F. C. | 1 " 10th Gurkha Rifles (I.A.) | 1 " 11th Lancers (I. A.) | 1 " 12 Sq. R. F. C. | 1 " 12th Cavalry (I.A.) | 1 " 13th Hussars | 1 " 13th Res' Regt. Cavalry | 1 " 14th Lancers | 1 " 16 Sq. R.A.F. | 1 " 2 FTS RAF | 1 " 2 Sq. R. F. C. | 1 " 20th Hussars | 2 " 211 Sq. R. A. F. | 1 " 21st Lancers | 1 " 24th Punjabis (I.A.) | 1 " 27th Punjabis Inf. (I. A.) | 1 " 28th Light Cavalry (I.A.) | 1 " 33rd Punjabis (I.A.) | 1 " 39th Garhwal Rifles (I.A.) | 1 " 40 Sq. R. F. C. | 1 " 41 Sq. R. F. C. | 1 " 43 Erinpura Regt. (I.A.) | 1 " 47th Sikhs (I.A.) | 1 " 49 Sq. R. A. F. | 1 " 4th Gurkhas (I.A.) | 1 " 53rd Sikhs (I.A.) | 1 " 59 Sq. R. F. C. | 1 " 5th Lancers | 1 " 60 Sq. R. F. C. | 1 " 62 Sq. R. A. F. | 1 " 66 Sq. R. F. C. | 1 " 67th Punjabis (I.A.) | 1 " 70 Sq. R. F. C. | 1 " 82nd Punjabis (I.A.) | 1 " 83 Sq. R. A. F. | 1 " 84th Punjabis (I.A.) | 1 " Army Service Corps | 7 " Australian Imp. Inf. | 1 " Australian Infantry | 3 " Ayrshire Yeomanry | 1 " Bedfordshire Regt. | 4 " Black Watch | 2 " Border Regt. | 4 " Cameron Highlanders | 1 " Canadian Inf. | 11 " Canadian Trench Mortar Battery | 1 " Chaplains Dept. | 1 " Cheshire Regt. | 4 " Church Army Huts | 1 " Coldstream Guards | 1 " Connaught Rangers | 1 " Devon Regt. | 2 " Dorset Yeomanry | 1 " Dragoon Guards | 1 " Duke of Cornwall's Light Inf. | 4 " Durham Light Inf. | 4 " East Kent Regt. (The Buffs) | 11 " East Kent Yeomanry | 1 " East Lancashire Regt. | 3 " East Surrey Regt. | 3 " East Yorkshire Regt. | 9 " Essex Regt. | 4 " Essex Yeomanry | 1 " Gloucestershire Regt. | 4 " Gordon Highlanders | 3 " Grenadier Guards | 1 " H. M. S. Aboukir | 1 " H. M. S. Argus | 1 " H. M. S. Good Hope | 1 " H. M. S. Phoebe | 1 " H. M. S. President | 1 " H. M. S. Topaze | 1 " H. M. S. Viknor | 1 " Hampshire Regt. | 4 " Hampshire Regt. / RFC | 1 " Herefordshire Regt. | 3 " Highland Light Infantry | 3 " Honourable Artillery Company | 2 " I. A. att Welch Regt. | 1 " Indian Army | 3 " Indian Medical Service | 1 " Irish Guards | 1 " Irish Horse & R. F. C. | 1 " King Edward's Horse | 2 " Kings African Rifles | 1 " Kings Own Scottish Borderers | 1 " Kings Own Yorkshire Light Infantry | 3 " Kings Royal Rifle Corps. | 7 " Lancashire Fusiliers | 7 " Leicestershire Regt. | 6 " Life Guards | 1 " Lincolnshire Regt. | 2 " Liverpool Regt. | 6 " London Regt. | 2 " London Scottish Regt. | 2 " Machine Gun Corps | 2 " Manchester Regt. | 2 " Middlesex Regt. | 8 " New Zealand Inf. | 1 " North Lancashire Regt. | 5 " Northamptonshire Regt. | 4 " Northumberland Fus. | 7 " Notts' Yeomanry / RFC | 1 " O. T. C. | 1 " Ox & Bucks Light Inf. | 3 " Punjabis (I.A.) | 1 " Queen's Own Oxford Hussars | 1 " Queen's Westminster Rifles | 1 " Recruiting Officer | 1 " Rifle Brigade | 2 " Royal Air Force | 5 " Royal Army Medical Corps | 1 " Royal Berks' Regt. | 1 " Royal Dublin Fusiliers | 3 " Royal Engineers | 13 " Royal Engineers and Sq Cmdr RFC | 1 " Royal Field Artillery | 26 Royal Field Artillery / R. F. C. | 1 " Royal Flying Corps | 5 " Royal Fusiliers | 11 " Royal Garrison Artillery | 15 " Royal Horse Artillery | 2 " Royal Inniskilling Fusiliers | 2 " Royal Irish Fusiliers | 1 " Royal Irish Regt. | 2 " Royal Irish Rifles | 1 " Royal Lancaster Regt. | 7 " Royal Marines Light Infantry | 2 " Royal Munster Fusiliers | 1 " Royal Naval Air Service | 1 " Royal Naval Air Service Manston | 1 " Royal Naval Volunteer Reserve | 3 " Royal Scots | 5 " Royal Scots Fusiliers | 1 " Royal Sussex Regt. | 2 " Royal Warwickshire Regt. | 6 " Royal Warwickshire Regt. Att Lan Regt | 1 " Royal Welch Fus. | 6 " Royal West Kent Regt. | 5 " Royal West Surrey Regt. | 3 " Scottish Rifles | 2 " Seaforth Highlanders | 5 " Sherwood Foresters | 5 " Shropshire Light Inf. | 5 " Somerset Light Inf. | 6 " Somerset Yeomanry | 1 " South African Horse | 1 " South African Inf. | 1 " South Staffordshire Regt. | 8 " South Wales Borderers | 4 " Suffolk Regt. | 2 " The Queens Regt. | 1 " Warwickshire Yeomanry | 1 " Welch Fusiliers | 1 " Welch Regt. | 6 " Welsh Guards | 1 " West Kent Regt. | 2 " West Riding Regt. | 5 " West Yorkshire Regt. | 5 " Wiltshire Regt. | 4 " Worcester Yeomanry | 1 " Worcestershire Regt. | 12 " York and Lancaster Regt. | 2 " Yorkshire Regt. | 4 "
House: No 6, 1898 - 1899. Regiment: Royal Field Artillery. Died: 06 June 1917 aged 34 in France. Killed in action. House: No 1, 1905 - 1909. Regiment: Royal Field Artillery. Died: 24 July 1915 aged 24 in United Kingdom. Died in London of wounds received in Ypres. Son of General B. M. Bateman, R.G.A.. b. 1891. Army III�I. Minor Scholar. House XI Football. R.M.A. Woolwich; R.F.A. 1910; Lieutenant 1913. 'He was in the retreat from Flanders at Mons, Le Cateau, the Marne, the Aisne, was wounded twice slightly on September 13th at Chassemy, and was sent to a hospital in France. 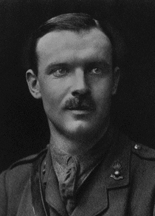 He joined his battery again on September 27th�his wounds hardly healed �and was in the thick of the fighting area on the Aisne, and gave much fighting service since, gaining the tribute from a comrade that "He knows his duty thoroughly, and does it thoroughly, and always does it as if he loved it." 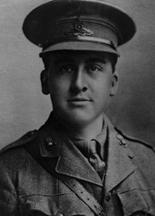 He was awarded the Military Cross �for conspicuous gallantry on 10th June, 1915, near Ypres, when he was dangerously wounded in endeavouring to restore telephone communication under very severe fire, and had been noted for consistent gallantry, and was wounded on two previous occasions�. He died on July 24th of wounds received on that occasion.' (Malvernian, Nov 1915). House: No 2, 1904 - 1909. Regiment: Royal Field Artillery. Died: 04 June 1915 aged 25 in France. Killed in action at Neuve Chapelle. Father: Walter James Beall (Lace Agent) Manchester House, Friday Street, London and Trebarwith, Sanderstead, Surrey. 4 Siblings: Isabel, Kathleen, John, Alan. R.M.A. Woolwich; R.F.A. 1910; Lieutenant 1913. 7th Battery, Royal Field Artillery. 'Oil leaving Woolwich he went out to India and remained there till Sept. 1914, when he went to France with the Indian Expeditionary Force. Killed in action.' (Malvernian, Jun 1915). House: Sch, 1908 - 1911. Regiment: Royal Field Artillery. Died: 30 May 1918 aged 24 in France. Killed in Air Raid in hospital at Doullens. Born July 6th 1894. Son of Sir James Bell, Hill Place, Farnham Royal, Bucks. Great War, Private Public Schools' Batt. 1914. Address: Hill Place, Farnham Royal, Bucks. 'Never a boy of very robust health, J. C. A. Bell was always a "trier." His determination of character was shown by his persistent and finally successful efforts to get passed for service, and he did right well as a soldier. At school he was prevented by physical causes from distinguishing himself, but he had a good deal of quiet influence, and left a blameless record behind him.' (Malvernian, Jun 1918). To England: 24th July 1916. Myalgia from kick by horse on July 17th 1916. He was exercising his horse which fell when jumping a wall, rolled over, & kicked him in the back of right hip. Wounded: 7th Aug 1917 and 18th May 1918. Next of kin: Sir James Bell (Father), 4 Queens Gardens, Osborne Road, Windsor. House: No 1, 1898 - 1900. Regiment: Royal Field Artillery. Died: 15 July 1917 aged 34 in France. Killed in action. Son of Inspector General (formerly Surgeon-General) T. C. Bolster, R.N., and Mrs. Bolster; husband of Mary C. Bolster, of "Woodlands," Meopham, Kent. R.M.A. Woolwich; R.G.A. 1903; Lieutenant 1906; retired 1909. Great War, re-joined 1914 . 124th Bty. 28th Bde. Royal Field Artillery . House: No 9, 1911 - 1915. Regiment: Royal Field Artillery. Died: 31 October 1916 aged 19 in France. Killed in action. Born September 25th 1897. Son of J. W. H. Burgoyne. Upper IV�Modern I. School Prefect. XL Football; Shooting VIII (captain); Cadet Officer. 88th Bde. Royal Field Artillery. 'Shortly after leaving school he obtained a commission in the R.F.A., and it was in the performance of the most dangerous duty which falls to the lot of an artillery officer that he lost his life. In letters received from his Colonel and Battery officers mention is made in every case of his popularity in the Battery, and of his gallantry. "A splendid soldier, and absolutely without fear," wrote his Battery Commander. "We were all extremely fond of him in the Mess, where he was always good-tempered, unselfish, and thoughtful for others." To have won that is to have won all. A man is his true self at the Front; moreover, this is the Jack Burgoyne that we knew.' (Malvernian, Dec 1916). House: Sch, 1901 - 1903. Regiment: Royal Field Artillery. Died: 08 December 1917 aged 30 in Italy. Died of wounds. 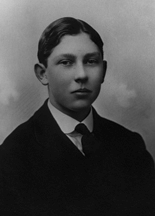 Born 17th January 1887, 3rd son of Fred Crisp JP DL and Elizabeth Crisp, White House, New Southgate. 63rd Anti-Aircraft Sect. Royal Field Artillery. 'Stanley Crisp was a boy of fair ability, and showed distinct promise at cricket. He was popular in his House. On leaving School he went to the Malay States, as a planter. He did excellent work in the war, and was a temporary Major in the R.F.A. when he died of wounds.' (Malvernian, Mar 1918). 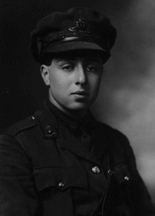 On the 9th December 1917, his wife, Mrs Muriel May Crisp, received a telegram at the Mascot Hotel on Baker Street from the War Office regretting that her husband was dangerously ill with shell wounds to the chest and the following day on the 10th December 1917 she received a telegram deeply regretting to inform her that he had died from his wounds at No 39 Casualty Clearing Station, Italy. House: No 1, 1897 - 1899. Regiment: Royal Field Artillery. Died: 30 March 1917 aged 34 in France. Killed in action at Beaurains. Son of Rev. 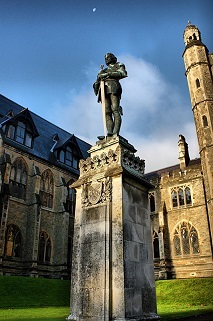 H. M. Faber, Malvern College, b. 1883. R.M.A. Woolwich; R.F.A. 1902; Major 1916. 47th Bde. Royal Field Artillery. 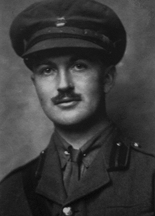 'He left School at the age of 16, and was thus prevented from reaching a position of importance here, but before he left he had already shown those qualities of steady perseverance and purposeful application, whether he was engaged in work or in games, which stood him in such good stead in his career in the Army. As a junior he won some distinction in the School sports in '98 and '99; in the latter year his house came second in the competition for the cup. In 1902 he obtained his commission from Woolwich. He spent several years in India with his battery and in 1912 he became Adjutant to the 1st Welsh (Howitzer) Brigade, R.F.A., T.F., and he was occupying this post when war broke out. In October, 1914, he was promoted Captain, and in the spring of 1915 he was given an ammunition column in one of the divisions which composed the "First Hundred Thousand." Shortly afterwards he obtained command of a battery, and in March, 1916, he was promoted Major. He was mentioned in despatches in January 1917. He was spoken of as an exceptionally good Battery Commander. He was of very great assistance to the Staff owing to the good example that he set. He was an excellent soldier, keen, very thorough, loved by his officers and men. His loss has been very much felt, and it was realised that it would be very difficult to replace him. Those who knew him at Malvern as a boy can well understand that he came to be an extremely valuable officer in the Army. Devotion to duty and a zealous interest in all that concerned his profession secured for him steady promotion, and the special mention of his services was a thoroughly well deserved recognition of the success which has attended his career.' (Malvernian, Jun 1917). 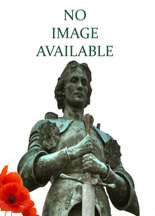 There is a commemoration at The Priory Church of St Mary and St Michael, Malvern. House: No 7, 1911 - 1915. Regiment: Royal Field Artillery. Died: 21 March 1918 aged 21 in France. Killed in action. Born July 2nd 1897. Son of Ernest A. and Florence M. Freeman, Ambleside Avenue, Streatham, and Hendon Hall. b. 1897. Middle IV A - Matricu1ation Class. House Prefect. XI Cricket. Great War, Private Labour Batt. 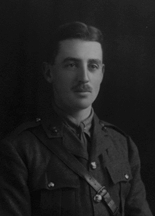 ; 2nd Lieutenant 18th Div. Ammunition Col. Royal Field Artillery attd. 83rd Bde. 'Frank Freeman came to Malvern the third term of 1911. He was the only son of Mr. E. A. Freeman of Streatham. As a small boy he showed signs of considerable promise in football, but he developed so late that he never got into the Football XI. He, however, showed skill as a slow bowler, and in his last season got into the Cricket XL. He got several Form Prizes, and was a keen member of the O.T.C. On leaving school he enlisted in a Labour Battalion, and was sent to the Front, being eventually transferred to a Battalion of the K.R.R. While with this Battalion he was recommended for a commission in the R.F.A., but was wounded before he could be sent home for training. On his recovery he was sent to the R.F.A. Cadet School at Exeter, and was eventually given a commission and posted to the Brigade commanded by Colonel Lyon at Ipswich for further training before proceeding Overseas. He was sent abroad early in February, and was killed on March 21st, the very first day of the great German advance. He had developed to an extraordinary degree after leaving school, and had grown into a fine fellow and showed signs of making a very good officer. Universally popular, and keen on everything he took up, he will be mourned by all who knew him at Malvern and elsewhere.' (Malvernian, Jun 1918). Joined Bn in the field on 14 Sep 1916. Wounded on 13 Oct 1916 and posted to England. Posted to RFA Officer cadet School on 18 Jun 1917. Discharged on receiving commission in RFA: 7 Dec 1917. House: No 3, 1905 - 1909. Regiment: Royal Field Artillery. Died: 23 August 1918 aged 28 in France. Killed in action at Colincamps, France. Son of S Fry, Cleeve Mill, Goring. b 1890. Middle Shell - Matriculation Class. School Prefect. Head of House. XL Football. Tobacco Planter. 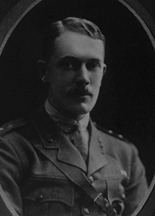 Great War, 2nd Lieutenant "D" Bty. 211th Bde. Royal Field Artillery. House: No 1, 1903 - 1908. Regiment: Royal Field Artillery. Died: 09 September 1917 aged 28 in Belgium. Killed in action near St Julien. Son of John Hamilton Gair and Martha Grace Gair, Skelwith Bridge, Ambleside. b 1889. Middle V - VI. Minor Scholar. School Prefect. New College, Oxford; B.A. (Second Class History) 1912; articled to Clerk of Lancashire County Council. 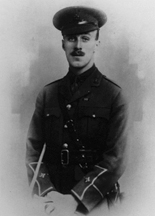 Great War, 2nd Lieutenant 2nd West Lancashire Brigade R.F.A. (T.F - 'A' Bty 276th Bde.) 1914; Lieutena. The Thomas Gair Exhibition was founded in his memory. 'When war broke out he joined the R. F. A., but before the Brigade went abroad he was appointed Instructor at the Bettisfield Training Camp. In January last he once again re-joined his Brigade, which was then in Flanders, and he was in the third battle of Ypres on July 31st. On September 9th he was doing a 24 hour tour of duty with an infantry battalion. Their headquarters were heavily shelled, and three-quarters of the unit became casualties. He attended to the wounded, and when a shell hit the dug-out occupied by the battalion runners and signallers, he went to them, anxious to know if any of his own men were among those hit. Just as he was about to enter the dug-out a shell hit him, and he was killed instantaneously.' (Malvernian, Nov 1917). Memorial at Holy Trinity Church, Bog Labs, Brathay, South Lakeland, Cumbria. House: No 9, 1908 - 1913. Regiment: Royal Field Artillery. Died: 03 October 1915 aged 21 in France. Killed in action. Born May 19th 1894. Son of Rhodes and Louie Hebblethwaite, of Highthorne, Husthwaite, Yorks. Upper Shell�Science I. School Prefect. Editor of Malvernian. XXII Cricket; XL Football; Ledbury Cap. Great War, Private 18th Hussars 1914; 2nd Lieutenant R.F.A. 88th Bty. Royal Field Artillery. Address: St Helen's, Fulford Rd, Scarborough. 'At the outbreak of war he enlisted in the 18th Hussars, and subsequently obtained a commission in the Artillery. He was killed by a high explosive shell in France on the 3rd of October. His Colonel wrote of him that he "had the makings of an excellent officer; he was very keen and energetic, liked by his brother officers and his men, and I feel that the Brigade of the R.F.A. have lost an excellent officer." He was somewhat delicate when he came to Malvern, but soon outgrew that, and played a prominent part in every phase of school life. Quiet and reserved in manner, thoroughly reliable in every way, he exercised an influence which was wholly good.' (Malvernian, Nov 1915). House: No 3, 1898 - 1899. Regiment: Royal Field Artillery. Died: 21 March 1918 aged 36 in France. Killed in action. Son of Thomas Killby (butcher and meat purveyor) and Annie Killby, 152 Highbury New Park, N. b. 1882. Great War, 2nd Lieutenant "C" Bty. 307th Bde. Royal Field Artillery , 1914. Husband of Gladys Cressy Spear (formerly Killby), of Brewhurst, Loxwood, Billinghurst, Sussex. 'Chester Killby as a boy had a quiet and retiring nature, below which was a strength of sterling character, which endeared him to all his friends. He left School early to go into business, and for some years was a member of the London Stock Exchange. When war broke out he volunteered, and was gazetted as a 2nd Lieut, to the R.F.A. After training he went to France, and very soon proved to be one of the bravest of the brave, frequently volunteering for any post of danger. He was in command of an anti-tank gun, in a forward post, on March 21st when the German offensive began. For some time he was reported missing, but news has since come from a wounded prisoner in Germany that he was seen, standing alone by his gun, surrounded by the enemy, till he fell, mortally wounded.' (Malvernian, Nov 1918). 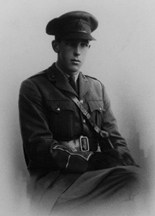 On March 20, 1918, Lt. Killby took command of an anti-tank gun in front of Holnon Wood, near St Quentin, and the following day he was reported missing, believed killed in action, defending his command. House: No 6, 1900 - 1902. Regiment: Royal Field Artillery. Died: 16 September 1916 aged 31 in France. Killed in action. Born June 15th 1885. Son of Charles Ashby Scott Leggatt M.D. and Helen Henrietta Leggatt (formerly Anderson), 2 Walton Place, S.W. Middle IV�Army III. House XI Cricket. Natal Mounted Police 1903-12; served in Natal Native Rebellion, Medal; Civil Service N. Rhodesia 1912,13; Assistant Secretary of Falcon Mines, Rhodesia. Great War 1914 (overseas), 2nd Lieutenant "C" Bty. 47th Bde. Royal Field Artillery . Husband of Ada Leggatt, of 30, Manchester St., Manchester Square, London. (Married at Church of St Thomas , Regent Street on 15th March 1915). 'At the outbreak of the war he returned to England and obtained a commission in the R.A., and according to the report of his C.O. proved a most capable officer. He was wounded in October of last year, and was killed in action in September of this year. He was a boy and young man of singular charm and strong personality, and extremely popular wherever he was.' (Malvernian, Nov 1916). House: No 4, 1911 - 1915. Regiment: Royal Field Artillery. Died: 11 March 1917 aged 20 in France. Died of wounds. Son of L. H. Lovett-Thomas, Hillside, Broadstone. b. Feb 6th 1897. Army II�I. House Scholar. House Prefect. R.M.A. Woolwich; 165th Bde. Royal Field Artillery 1915. M.C. 'He passed into Woolwich in 1915 and received his commission in the R.F.A. in the same year. In January 1916 he was sent with his brigade to Egypt, and to another front in the following March. For splendid services rendered on February 17th, 1917, when he kept up communication with a forward infantry report centre under the most difficult conditions, he was awarded the Military Cross, but the honour was not announced until after his death, which occurred on March 11th, from wounds received on that day while he was acting as officer in charge of the guns. Letters received from his brigade describe him as a very gallant soldier, invariably plucky and cheerful, and emphasise his manly worth, his exceptional ability, and his very lovable personality. "He was," writes his C.O. in reference to one particularly trying occasion, "just his bright cheerful-serious little self all the time." The words aptly hit off the nature of the boy, as we knew him.' (Malvernian, Jun 1917). He proceeded to Egypt with his brigade in January, 1916, and to another front in the following March. His commanding officer writes: "I have lost my most efficient and best-loved officer. I cannot speak too highly of him, both as a gentleman and officer. For splendid services rendered to his country on the 17th of February, he was mentioned to those in higher command." 'Hebuterne. 11/3/17. HQ & Battery positions shelled. 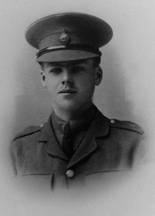 Casualties 2nd Lieut R S Lovett-Thomas 'C' Battery fatally injured. 1 OR wounded.' (Unit War Diary). House: Day, 1895 - 1896. Regiment: Royal Field Artillery. Died: 08 July 1916 aged 33 in France. Killed in action. Son of James and Jane Bethune MacKenzie, Daresbury, Malvern, b. 1883. R.M.A. Woolwich; R.F.A. 1903; Major 1916. 29th Bty. 42nd Bde. Royal Field Artillery. 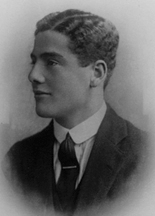 Husband of Ethel F. MacKenzie, of "Daresbury," Great Malvern. House: No 4, 1891 - 1895. Regiment: Royal Field Artillery. Died: 01 November 1914 aged 38 in France. Killed in action. Son of Colonel Sir Arthur Mackworth, Bt., C.B., R.E. b. 1876. Shell�Army Side. House Scholar Chance Prize. School Prefect. R.F.A. 1898; Major 1914; Staff College; West African Frontier Force 1904�08. 'A boy of considerable ability, "Sapper" Mackworth took a high place in the examination for Woolwich, but was rejected on the ground of insufficient height. 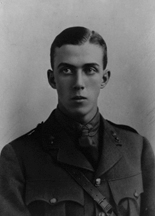 However, he grew into a tall man at Cambridge, and passed into the army as a University candidate. Born of a family honoured in the services, he proved himself a keen soldier, graduated at the Staff College, and was serving in the present war (together with his schoolfellow, Capt. W. R. Reid) on the Artillery Staff of the 3rd Division. He was mentioned in Despatches, and was promoted Major on Oct. 30th. Two days later, ignorant of the honour he had won, he was mortally wounded by a splinter from a shell.' (Malvernian, Dec 1914). House: No 2, 1905 - 1909. Regiment: Royal Field Artillery. Died: 25 September 1915 aged 24 in France. Killed in action near Neuve Chapelle. Son of Sir Hugh Murray, CLE., Morleys, Henfield, Sussex, and Bramble Hill Lodge, Lyndhurst, Hants b. 1891. Army III�I. School Prefect. Head of House. XI Cricket; XI Football. Cadet Officer. R.M.A. Woolwich; R.F.A. 1911; 61st Bty. 131st Bde. 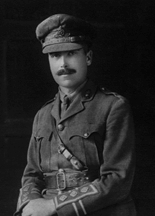 Royal Field Artillery; Captain 1915. 'He went to France with the Expeditionary Force in August, 1914, serving throughout the war until the day of his death in action. Originally appointed to the 46th Field Battery, he served during the early part of the war as orderly officer to the colonel of the brigade, and was subsequently transferred to J Battery, R.H.A., and later to the 61st Battery, R.F.A. On the morning of September 25th, near Neuve Chapelle, whilst accompanying the advancing troops in order to find a new observing station for his guns, he was mortally wounded by a shell and was left behind during the subsequent retreat. He was mentioned in despatches in connection with the first battle of Ypres. All who knew him when he was at Malvern will remember his radiant cheerfulness, his keen sense of humour, his readiness to help those who needed help, and his enthusiastic interest in the general life of the School. At the front he endeared himself to his Commanding Officer and to his men, by whom he has been spoken of with real affection.' (Malvernian, Dec 1915). House: Sch, 1907 - 1911. Regiment: Royal Field Artillery. Died: 21 March 1918 aged 25 in France. Killed in action. Born 23rd March 1893. Son of Benjamin Arthur and Rosina Nathan, 36 Glenloch Road, N.W. and 22, Belsize Park, London. Lower V�Lower VI. House Prefect. XXII Cricket. Great War, Private H.A.C. 1914; Captain 36th T.M. Bty. Royal Field Artillery. 'Percy Nathan was a boy who was much liked at school: he was trustworthy and sensible, with ability above the average, and showed promise as a cricketer. His school career was blameless, and his influence was always good. And he had character.' (Malvernian, Jun 1918). 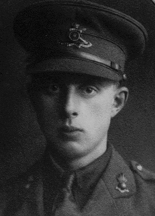 He died of wounds received in action at No 61 Casualty Clearing Station, France. House: No 4, 1901 - 1904. Regiment: Royal Field Artillery. Died: 12 February 1917 aged 31 in Greece. Died of wounds. Son of Lieut.-Colonel Orde, Nunny Kirk, Morpeth, b. 1886. Army III�I. Minor Scholar. House Prefect. R.M.A. Woolwich; R.F.A. 1907; Captain 1914. Great War, Brigade-Major; M.C., Despatches. 'After passing out of Woolwich he was appointed to a Battery of the R.F.A., in which he served in England, South Africa, and India. 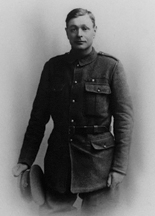 In December 1914, he went with his division to France, and saw hard service in that country for more than a year, after which he was sent to another front. 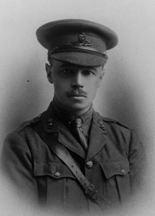 During his time in France he acted as Staff Captain, as temporary Brigade Major, and as Liaison Officer. In January, 1915, he was mentioned in despatches, and in the following December was promoted Major, and appointed to the command of a Battery. Last January he was awarded the Military Cross. He died on February 12th of wounds received the same day. As a soldier he was considered exceptionally efficient and admired for his invariably cheerful and courageous spirit. "He was," writes a brother officer, "the life and soul of the Brigade, and was literally loved by both officers, and men''�words, the reality of which will be readily understood by the many who shared his friendship here.' (Malvernian, Apr 1917). House: No 2, 1901 - 1907. Regiment: Royal Field Artillery. Died: 03 September 1917 aged 28 in Belgium. Died of wounds. Son of H. Peel, Taliaris, Llandilo, S. Wales, b. 1889. Middle IV�Modern I. House Prefect. House XI Football. 'Robert Peel was a boy of a quite distinctive character. He had great influence in his House. His quiet demeanour, his sound principles, his stern sense of duty, made a deep impression on those with whom he came into contact. His thoughtfulness for others was a noticeable feature in his character in those early days, and this characteristic came out fully when he became an officer in the Army. He held an appointment in the south of India when war broke out. He resigned this, and reached England in December, 1914. He received his commission on December 30th, in the R.F.A. He was at Suvla Bay from August, 1915, till the evacuation, and then in Egypt till the battery went to another front in July 1916. Last December he was awarded the Military Cross, for rescuing wounded under heavy fire, and preventing the explosion of ammunition dumps. He died, on September 3rd, of a shell wound received the same day while on duty with the guns. 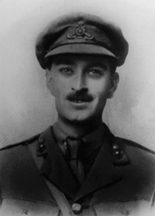 Those officers who knew him most intimately have written of him as follows: "He was a man of very wonderful sympathies, whose fine sensibilities and humanity not even the worst side of war could blunt. He was one of my best officers, and a very tower of strength and help at all times." "He left the impress of his personality writ large over all his men; he has 'made' by his example more officers than one." "When he was wounded he realised that his wound was fatal, and he tried to persuade the doctor to leave him, and said, 'The time you spend in attending to me will be wasted; look after the others, please.' As he lived a splendid life, so he died a splendid death." "Had anyone else met his death as he did, we should have thought it wonderful: as it was �he was just himself."' (Malvernian, Nov 1917). House: Sch, 1899 - 1903. Regiment: Royal Field Artillery. Died: 21 May 1915 aged 30 in France. Killed in action. Born: November 2nd 1885. Son of Charles Aldcroft Phillips and Constance Phillips, Dildawn, Castle Douglas, Scotland. R.M.A. Woolwich; R.F.A. 1905; Captain 1914, 31st Bty Royal Field Artillery. He was in hospital in Boulogne with stomatitis and was discharged from hospital on 22nd January 1915. 'He had been sent forward to our front trenches, his task being to control the fire of two batteries by telephone during an attack made by the Canadians. In the early morning of May 21, the attack being over, he was sleeping behind a haystack, when a shell burst immediately overhead and killed him instantly. His commanding officer writes: "Not only was he a very great friend of mine, but the most loyal, brave, and energetic of officers." ' (Malvernian, Jun 1915). House: No 6, 1906 - 1909. Regiment: Royal Field Artillery. Died: 16 January 1917 aged 25 in United Kingdom. Accidentally killed flying. Son of F. A. Ravenscroft, Hill Close, New Brighton, b. 1892. Lower Shell�Science I. XL Football. Great War, R.F.A. 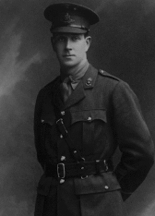 1914, Lieutenant R.F.C. Accidentally killed near Croydon, January 16, 1917. 'A boy of vigorous, fearless character, with a strong sense of humour, and withal, when occasion required, a deep seriousness of outlook. He was at his best when things were going worst. At the outbreak of war he was farming in the Argentine, but came home and received a commission in the R.F.A. He was at Suvla Bay until the evacuation, returned to Egypt with his regiment, and came to England last August. He transferred later to the R.F.C., and died on January 16th, as the result of an accident while flying in this country.' (Malvernian, Mar 1917). House: No 7, 1908 - 1913. Regiment: Royal Field Artillery. Died: 09 July 1916 aged 22 in France. Killed in action flying. Son of W. H. Speer, Mus. Doc, Powyscourt, Balcombe, Sussex, b. 1894. Upper V�Matriculation Class. School Prefect. XL Football. Great War, Private Public Schools' Batt. 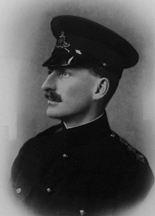 1914; Lieutenant R.F.A. and R.F.C. 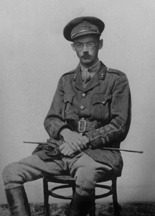 'On the outbreak of war he joined the Public School Brigade, and subsequently received promotion. In 1915 he trained for the R.F.C, becoming attached in January of this year. He was on active service from March until July 9th, when he met his death in combat in the air over the enemy lines. He was attacked single-handed by six or seven Fokker machines; his machine was shot down and he and his observer burnt. 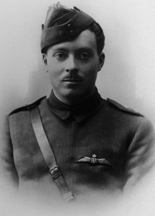 His commanding officer reported that: "he was a gallant soldier, a fine flier, and a most fearless fighter."' (Malvernian, Nov 1916). House: No 9, 1912 - 1916. Regiment: Royal Field Artillery. Died: 14 October 1918 aged 20 in Belgium. Killed in action at Ledenghem. Son of W. A. Sweet-Escott, Hartrow, Penarth. b. 1898. Shell�Upper V. School Prefect. Head of House. XI Football; XI Cricket. 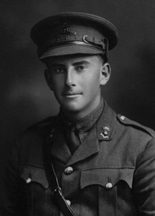 'He was killed on October 14th by a shell, which struck the O.P. from which he was observing. 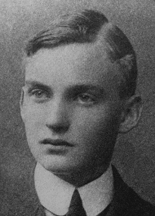 Bill Sweet-Escott, in spite of a shy manner and reserved disposition, had many friends at School, as afterwards in the service; it is given to a few to have the capacity, which he possessed, for forming the closest friendships. Consequently his loss will be felt by many with peculiar severity. During his School life he held the respect and affection of all who knew him. Conscientious, with a strong sense of duty, he played a large part in the life of his house, and won popularity without courting it. That his sterling qualities were recognised in the service is amply proved by letters from those with whom he served. His C.O. wrote that he was very brave, and that no task was too difficult or too dangerous for him. 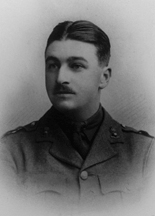 Perhaps two extracts from the letter of a brother officer recall him best: "He was brave as a lion, a very gallant officer, a perfect gentleman, and a splendid friend"; and, "He was awfully popular, everyone knew him as 'Bill,' from the Divisional Artillery Staff downwards."' (Malvernian, Feb 1919). House: No 1, 1890 - 1890. Regiment: Royal Field Artillery. Died: 01 December 1917 aged 41 in France. Died of wounds near Bapaume. Served in South African War 1899-1902, Queen�s Medal with 5 Clasps, King�s Medal with Clasps. Great War, Gunner R.F.A. "H" Bty. 7th Bde. Royal Horse Artillery.